In December 1969, nine African-Americans met in New York City to discuss the unique challenges and limited opportunities they faced in the accounting profession. In that year, there were only 136 African-American Certified Public Accountants (CPA's) out of a total of 100,000 in the United States. This group wanted to establish an organization to address the concerns of minorities entering the accounting profession and to make a commitment to professional and academic excellence. The following nine individuals who met that month were determined to "make a difference" and let their voices be heard. The National Association of Black Accountants (NABA, Inc.), is an American nonprofit professional association that represents more than 100,000 people of color in furthering their educational and professional goals in accounting, consulting, finance, and information technology. Professional and student members are served throughout the organization's 200 chapters around the country. NABA's membership includes entry and mid-level accountants, auditors and financial professional, senior-level managers and executives, firm partners, as well accounting, finance, business, and IT students. About half of NABA's members work in corporate America, with the remainder serving in nonprofit, government, academic, and international arenas. Forty percent hold advanced degrees and 45% hold professional certifications. Another arm of NABA is made up of corporate members, called the Division of Firms, which represents nearly 70 African American-owned CPA firms around the country. NABA's motto is "Lifting As We Climb," which is embodied in its official logo depicting two interlocked hands, with one pulling the other up. The image denotes both the political struggle the organization faced at its founding and the goal of helping future generations of accounting professionals. The organization came into existence during a period of time in which blacks and other minorities faced obstacles in being recognized and being promoted in the profession. It became a vehicle through which minority professionals could be assisted as they climbed the corporate ladder, obtained the Certified Public Accountant (CPA) designation, and prepared for partnership in top firms. Moreover, the organization's operating model encourages veteran professionals to incubate and mentor students entering the profession. The Association is a 501(c)(3) nonprofit membership organization. There are two classes of membership: student and professional. Professional members may also opt to obtain the Lifetime Member designation. The 160 student chapters are named by their college or university and fall under the auspices of the nearest of the 48 professional chapters. A National Board of Directors, which includes regional leaders, governs the entire organization. The headquarters office is located in Greenbelt, Maryland. NABA was established in 1969 by nine African American accountants in New York City, and for forty years has addressed the systematic challenges faced by minority accounting professionals. In 1969, there were 100,000 people who held the Certified Public Accountant (CPA) designation-only 150 of them were African American. That same year, the American Institute of Certified Public Accountants--the professional body that awards CPAs--passed a resolution on the lack of diversity in the accounting profession and established the Minority Initiative Committee, which along with NABA, continues to study and provide solutions that eliminate the barriers to success in the profession by people of color. 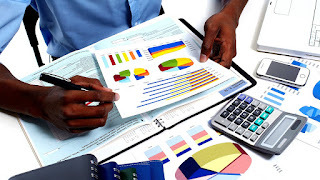 Today, through the efforts of NABA, the AICPA, and other interested groups, there are more than 200,000 African Americans participating in the field of accounting, of which more than 5,000 are CPAs. As a leader in the business community, NABA continues to create opportunities to enlarge the pipeline of African Americans into every level of accounting and finance, as it recognizes that the growth of the blacks in the profession remains a significant challenge. Minorities make up slightly more than 25% of enrollments in bachelor's degree programs: 11.5% African American, 7% Asian, 6% Hispanic, 1% American Indian/Alaskan Native, and 6.5% of mixed or unknown ethnicity. At the master's level, African American enrollment falls to just 6%. Given the importance of the CPA designation in reaching top levels of the profession, NABA extends significant resources to help its members achieve this mark and to study the factors that impose barriers to obtaining it. In June 2007, NABA, along with Howard University's Center for Accounting Education, held the first CPA Examination Summit at NABA's Annual National Convention. The convening gathered participants from public accounting, industry, and academia to explore why--despite their increasing numbers in college degree programs--growing numbers of African Americans were not sitting for or passing the CPA examination. The Summit unearthed a number of issues, including generational challenges, lack of black CPA role models, and exam mechanics. A second Summit in 2008 led to the creation of several programs within NABA and other organizations to resolve these issues, with financial support from accounting firms Ernst & Young and Deloitte. NABA's programs consist of professional development, networking opportunities, job placement, continuing education, technical training, national and regional conferences, and public service initiatives. The Center for Advancement of Minority Accountants (CAMA) recruits, develops, and supports talented minorities interested in accounting, finance, and related business fields through partnerships among NABA chapters, corporations, and colleges and universities. CPA Bound grew out of NABA's President's Advisory Council to increase the number of African American CPAs. In concert with Howard University and Becker CPA Review, the program offers an intensive seven-week Boot Camp for young professionals preparing to sit for the CPA exam. CPA Bound also hosts the annual CPA Examination Summit to monitor progress of efforts to increase the number of minorities passing the exam. NABA's Accounting Career Awareness Program (ACAP) is an annual one-week residency program for high school students to be introduced accounting, finance, and general business concepts. For professional members, NABA provides continuing professional education credits (CPEs) through technical sessions held throughout the year and at the Annual National Convention. NABA is registered with the National Association of State Boards of Accountancy as an official sponsor of continuing professional education. NABA hosts a three-tiered Leadership Development Institute that helps participants bridge the gap from mid-to-senior-to executive levels of business leadership. The institutes take place in conjunction with NABA's Annual National Convention. Student members of NABA have access to its National Scholarship Program, which has offered more than $7.1 million in support since beginning in 1987. The Distinguished Collegian Award is the organization's highest student honor and recognizes NABA students who are making a difference in their chapters and communities. The Student Case Study Competition is a rigorous challenge between student teams who research, develop, and prepare oral presentations that address accounting and business topics. The competition takes place each year at NABA's Annual National Convention. Community service is an important part of NABA membership. Each year, members take time away from the Annual National Convention and complete an outreach mission as part of NABA's Day of Service. It began when NABA's convention took place in New Orleans in 2009 and will continue in 2010 in Houston. Moreover, NABA professional members annually cosponsor IRS Volunteer Income Tax Assistance Program sites to help low-to-moderate income people prepare their tax returns. NABA also partners with the AICPA to bring comprehensive consumer financial literacy education to youth, students, and low-to-moderate income families. Each year, the Association hosts five regional conferences in the fall for students. In addition to professional development sessions, students receive scholarships and apply for internships. Seniors are scheduled for onsite interviews for employment following graduation. Each June, NABA convenes the general membership for large-scale networking sessions and student development opportunities, leadership training, professional awards, student case competition, the NABA Day of Service, and scholarship awards.